You’ll get a burst of fruit flavor in every bite of these colorful, wonderfully fresh fruit slices. Pick out your favorite flavors to eat first or mix a few flavors together to tantalize your taste buds. Keep some on hand to enjoy when you want a sweet treat or to share with someone who needs a reason to smile. Sugar, Corn Syrup, Corn Starch, Modified Corn Starch, Artificial Flavor, Artificial Colors Including Red #40, Yellow #6, Yellow #5, Blue #1. One bag contains about 30-35 pieces. Flavors are good – maybe a bit too sweet. So much better than the packaged ones found in our drugstore. My family can’t eat them fast enough! Fresh and fruity, great tasting. They were good, but a little sweeter than I usually like. The fruit slices were really great for a snack! 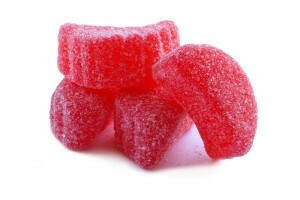 I enjoyed these fruity flavored candied remembrances of childhood! Very good! The fruity flavors are great…the bag of fruit slices was gone within minutes of opening! Everyone in my office had to take some…. FRESH with a great fruity taste! 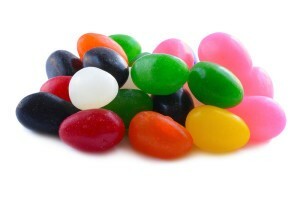 The kids prefer these over all the different candy I carry in my shop. A real fruit taste! I recommend them high!